Nestled in the City of Colombo, this is truly an urban boutique hotel that perfectly captures a blend of contemporary style with intrinsic elements of a beautiful design. This Luxurious hotel boasts of elegantly designed and beautifully finished suites, some with private courtyards characterized with details and wonderful amenities that meets and surpasses the expectation of any discerning visitor. It is also has a scarlet room that offers an intimate space for an Ideal private dining room , meetings, rehearsal dinners as well as private family gatherings. With a pool at the middle of the hotel, its clod cafe offers a perfect rooftop viewing, while its lounge bar is so creative and unique. Set in a lush green forest where elephants roam freely, so is its beautiful name from the Elephant Aliya. This luxury hotel is an artful combination of modern architecture and minimalistic and authentic Sri Lankan style characterized with above board amenities and facilities. This resort aims at providing a distinctive experience of the areas uncomplicated lifestyle. This resort consists of about 96 rooms, fully equipped with modern comforts that illustrate a very discreet opulence. The rooms here are spectacularly designed with the colours and motifs of the Sri Lankan batik, and with elephant inspired themes to give it a very artistic appeal. 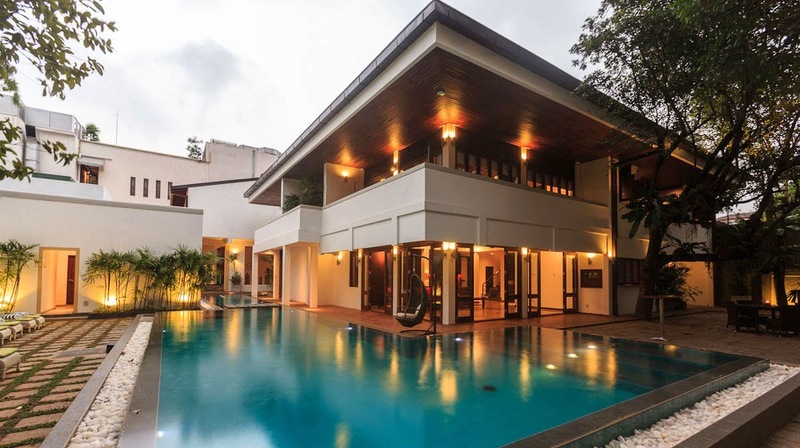 Located in the midst of the verdant hillside, high above the city of Kandy. This luxurious hotel that welcomes you to a private heaven is sure to please any discerning traveller. Here all the rooms have private balconies that overlooks the sweeping valley and the lush mountain side. Its interiors are spectacularly designed to define natural and modern elements. The hotel is surrounded by natural splendour combined with timeless Kandyan tradition. The hotel offers Ayurvedic Spa treatment, masterfully made culinary flavours and majestic pools in open spaces on the hillside. This is the gateway to Sri Lanka's Southern coast. The hotel's design is inspired by the romantic old world charm of an 18th century Dutch village. The place combines comfort, contemporary elegance and with a touch of Sri Lankan hospitality. It comprises of about 75 luxurious rooms with a private terrace, patio for superior and deluxe rooms together with an indulgent Jacuzzi bathroom inside the suites. While here you can unwind in its therapy rooms for a spa. Similarly, you will be presented with an opportunity to explore a turtle hatchery or the chance to zip through the azure waters on a jet ski built for two, not to say that you can enrapture through the Indigo sunset along the pearlescent sands or have a secluded dinner with your spouse with sand beneath your feet and an open sky. This is the 1st class spa chain in Sri Lanka, which has been integrated with the Cinnamon hotels and resorts to provide a blend of Swedish, Bali and Aroma therapies that have been fragmented in almost 20 assortments. Treatments here are nursed by proficient Bali therapists that have been trained in Indonesia. This hotel also has one of its channels accommodating six luxury bed chambers in the Cinnamon lakeside and which offers some of the most luxurious facilities and amenities besides the spa, which include elegantly designed rooms, pools and exotic cuisine to mention just but a few. Therefore, the next time you secure the Sri Lanka visa and desires to travel to this land for some perfect gate away, then these are some of the best hotels that will offer you an exemplary accommodation for a memorable expedition.